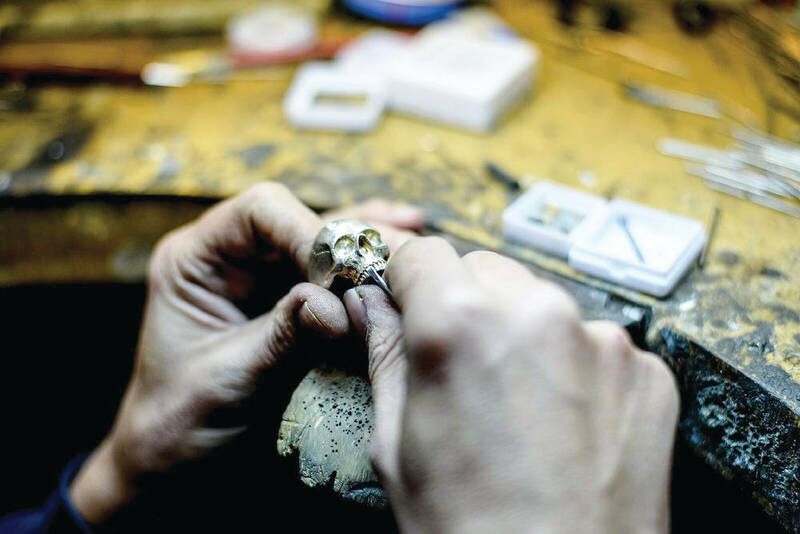 Having been at 44 Stanley for 15 years, the demand for handmade jewellery has seen Sirkel Jewellery move into a bigger store. Owner Jan Bekker tells us more about the business. I was doing an apprenticeship in a big factory. They were moving away from handmade jewellery which had always been my passion, so I took my savings and moved into my sister’s backroom in her mosaic studio and started my own business from there. When I moved into 44 Stanley I had only been going for two years. The rent was low and it was something very different to any other shopping centre, which appealed to me. My sister had a very successful mosaic workshop called Beyond the Pale and she let me move into her backroom. When she moved out, the centre management built me my own entrance and shop on the other side of that room. 44 Stanley is beautiful, well curated and attracts tourists and open-minded people that love our work. Famed photographer Justin Dingwall and Papersnap. Around half of what big shopping centres charge. Usually between five and 25. Yes. We have a website, Facebook page (@sirkeljewellerydesign), a very pretty Instagram feed and an online store. Together these have given us more work and especially orders from The EU and USA. We’ve just opened our new shop at 44 Stanley and expanded our workshop. The response to our work internationally has been amazing, so we’re currently looking to expand our retail network in America. Bespoke engagement rings and men’s signet style rings and our more affordable “Memento” and “Sirkel” collections for birthday and anniversary gifts.